We have enjoyed relatively storm-free weather in the Twin Cities metro area this summer, but we still have a few weeks left of storm season. 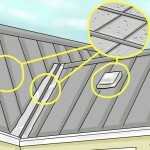 When a major storm does hit, do you know how to spot hail damage to your roof and house exterior? Insurance adjusters will require the opinion of a professional roofing contractor before they will consent to the work being done, but you can also check for hail damage yourself before calling a roofer. Just follow these tips from wikiHow, the world’s largest online how-to manual. Identifying hail damage on your belongings, such as patio furniture or your car, is relatively straightforward. The round dings in metal are obvious signs of hail damage. 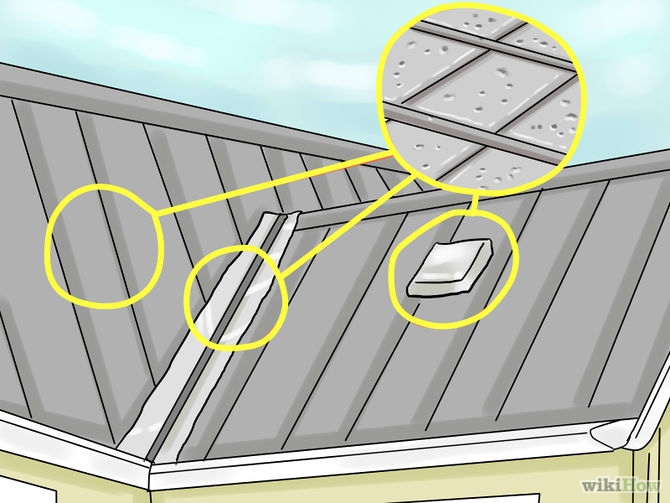 However, determining whether your roof has sustained damage from a hailstorm may be a little more difficult. It’s important to keep your roof in top condition to avoid structural deterioration that may cause leaks. Many insurance companies will consider paying for a roof that has been damaged by hail, but it must be correctly assessed. Search for damage on anything metal. Check metal roof vents, flashing or metal valleys on the roof to see if there are any dents. Soft metal will show dents, and also indicate the size of the hail. 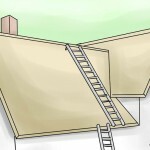 Set up a ladder to your roof to examine the top of the roof. Check the whole shingle, as well as the edges, for signs of damage. There are 3 main types of damage caused by hail: bruising, cracking and granules missing from asphalt. 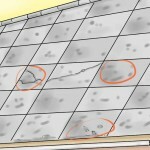 Check for missing granules in the asphalt of the roof. Look for areas on the shingle that have exposed, black substrate. This means the granules of the asphalt have been compromised or knocked off by something. Your insurance company will require an inspection of your roof by their adjuster. Use caution when walking on your roof. Wear shoes with a good grip and avoid walking to close to the edges of the roof. Always use caution when setting up a ladder. Make sure it is stable and positioned correctly against the side of the house. Storms can hit at any time during the summer in Minnesota. That’s why it’s important to know the best way to handle storm damage should the situation arise. The Chuba Company has installed more than 600 roofs using our dedicated and experienced crew of professional roofers. We are a GAF Master Elite certified contractor, a distinction held by only 3% of all roofing contractors. We’ve had the same roofing crew since 2006 and they have completed over 600 roofs together. Our company holds an A+ rating with the BBB. Our work comes guaranteed with a Quality Workmanship Warranty. We will work with your insurance company to help you understand exactly how your policy will cover your storm damage. Contact us today to learn more about what makes us one of the most trusted contractors in the Elk River area. Follow us on Facebook, Pinterest, and Houzz so you’re ready when the next storm hits! Article content and images provided by wikiHow, a wiki that is building the world’s largest and highest quality how-to manual. Content on wikiHow can be shared under a Creative Commons License.